Hello Lovelies! Today is my final Lush Valentine's Day review (wow time flies) and it's one that honestly felt a little un-Valentines-y. 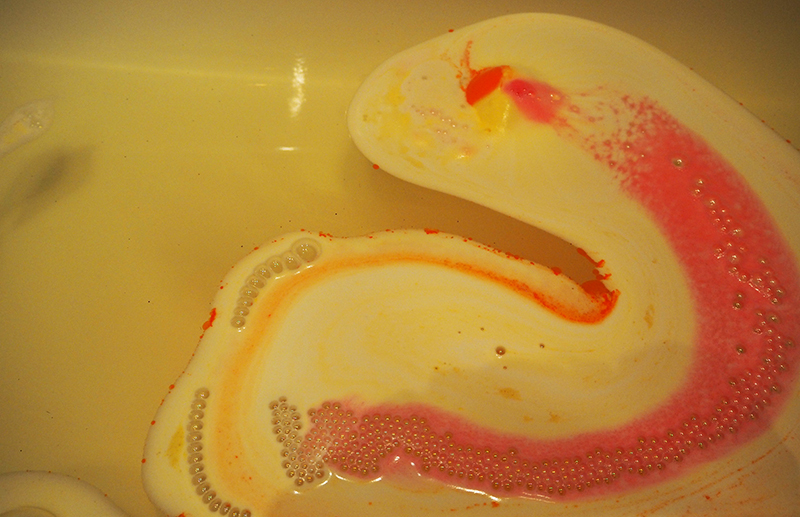 Not that I'm complaining because Over and Over is an absolutely gorgeous bath bomb. 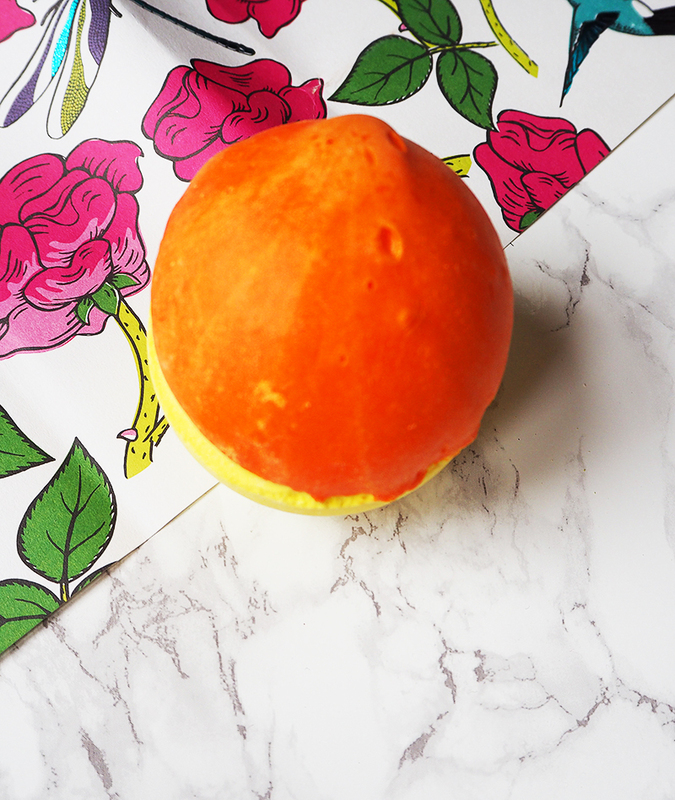 I used it for the first time all the way back when it was the Lush creative showcase, so I've been keeping my thoughts on this one a secret for a while so let me tell you what I thought of it. Over and Over has a gorgeous citrus scent with lime, fennel and orris and it makes for a wonderful citrus scent that a lot of people will love. It's also one of those beautiful Lush creations with half cocoa butter and half bath bomb which is seriously just a genius combination. 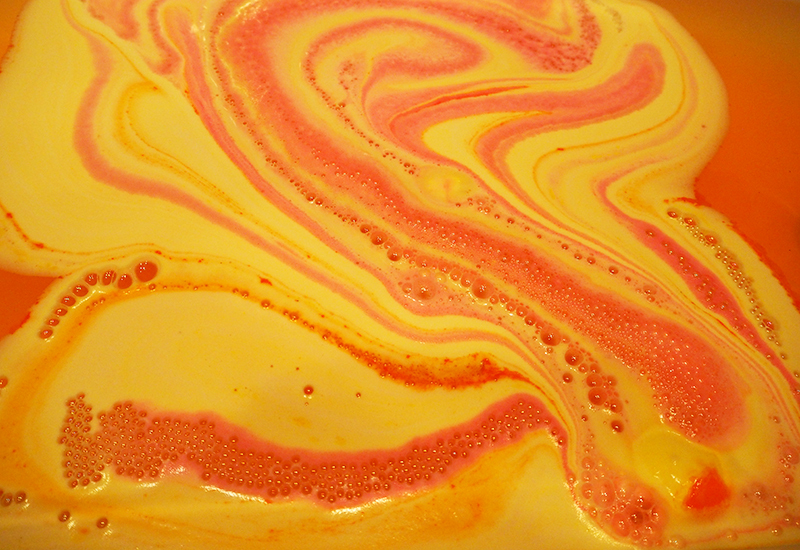 As you can tell from my photos, this bath bomb makes for a gorgeous display with lovely bright yellow and a sort of orange pink. Even better as you can imagine from the inclusion of cocoa butter this is just so moisturising! As you can guess I am absolutely gushing over this bath bomb. 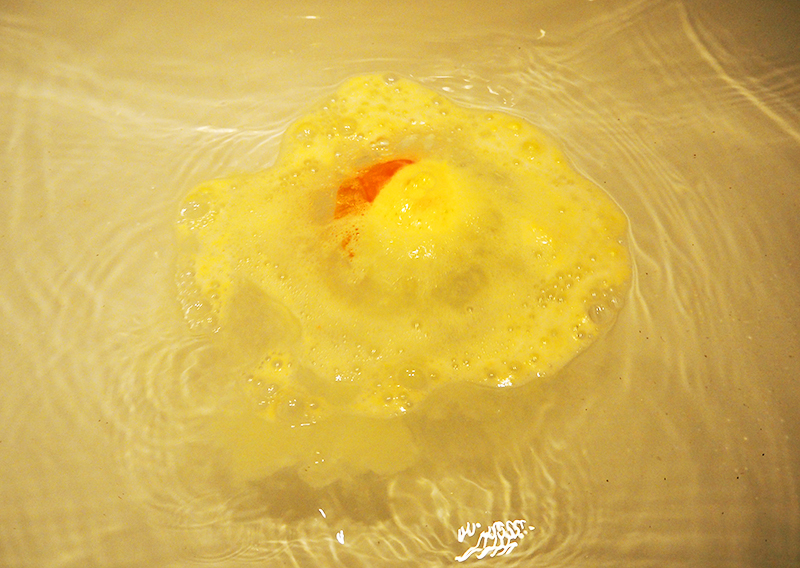 It's a truly wonderful bath bomb and I recommend you get your hands on one before they run out. Whether you're alone this Valentine's or sharing it with a special someone, I hope you have a lovely time. Oh wow this looks so lovely, I love it! Lush is just so amazing, lovely post. this looks so good! love the colour and sounds perfect for some tlc!